Will The Person’s Insurance Skyrocket After The Accident? Not necessarily. It won’t go up more than it would as a result of any other incident. How Do Insurance Companies Come Into Play When It Comes To Bicycle Accidents? 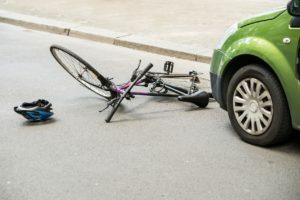 During their assessment, the auto insurance carriers do not look at the bicycle accidents any differently than an auto versus auto collision or an auto versus pedestrian collision. The victim would be entitled to a property damage claim, which would allow the replacement or repair of the bicycle or any safety equipment. Sometimes, people get knocked to the ground, thus damaging their clothing, jewelry, or cell phone. This would also be part of the property damage claim. They would also be entitled to their bodily injury claim for their medical bills, out-of-pocket expenses, time off from work, pain and suffering, and inconvenience of being in the accident. In theory, this would be the same type of damages awarded in an automobile accident. What Happens If The Medical Bills Are More Than The Insurance Will Cover? This would probably be a situation in which two-thirds of the battle is with the medical providers, trying to negotiate those bills. This involves trying to get them to understand the economic reality of the situation. Providers would typically understand this. They would rather take some guaranteed money. The client would be explained the situation. There would be limited policy limits to the responsible party’s insurance, and this would be the money that was available. Those bills could typically be negotiated. What Happens If The Person Who Caused The Accident Does Not Have Insurance? This would be a situation in which the insurance company would see if the bicyclist or their family had any uninsured motorist coverage. They would also do an asset check on the driver to see if they had the ability to pay. We would also take a look at the registered owner of the vehicle to see if he/she had any insurance. Could An Attorney Help Negotiate Hospital And Medical Bills? Yes, absolutely. Everything is negotiable. This would often depend on what the settlement was and what the facts of the loss were after talking to a medical provider. Thusly, if someone wanted $50,000 from a hospital, but the client was partially at fault for the accident, then the settlement would not be what it should be. Providers typically understand the particulars of this. They would rather deal with an attorney and collect something from the attorney who had good money coming from the client. Alternately, they know there’s a trust account from the attorney. Providers like this more than chasing the patient or attempting to obtain a judgment against the patient. They recognize they would have to incur attorney’s fees if they pursued the patient directly. In this case, they might never get the money. Usually if someone calls and has a candid discussion with the hospital or the collection agency about what the factual situation is, then the bills would typically be able to be negotiated. This would be resolved to everybody’s satisfaction. Why Would Someone Need An Attorney, And Will Insurance Take Care Of Everything? The insurance company should take care of everything for any accident. However, insurance companies always look out for their best interest and the best interest of their insured. This doesn’t mean they’re looking out for the best interests of the victim. 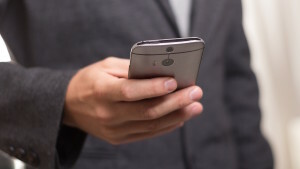 Providers might throw some type of defense or comparative negligence at the case to try to discourage the person from pursing the claim or to minimize what will be paid on the claim. For more information on Insurance In A Bicycle Accident, a free initial consultation is your next best step. Get the information and legal answers you’re seeking. Were You in a Bicycle Accident? What Are Some Initial Steps Someone Should Take After A Bicycle Accident? How Common Are Bicycle Accidents? What Are People’s Top Concerns About Bicycle Accidents? How Long Would The Average Bicycle Case Take? What Sort Of Bicycle Injury Cases Are Not Worth Pursuing? How Do “Fault” And “No Fault” States Apply To A Bicycle Accident?